Have a question concerning using ether to start a diesel engine. The fellow I bought my backhoe from said to never use it on this engine----Yanmar (ceca 1995--25 hp). As I live in kinda a old timey place some also say that a engine can become addicted to ether---TRUE OR False? I use a litte bur of ether now and then. Make sure you do not have glow plugs in the intake. Ignition there would not be good. Never use a large amount or you will lock it up also it dries cylinder walls. WD40 is a better alternative. Old more worn enginges may need help starting. Nope engines do not become addicts. It's my philosophy that a well maintained engine shouldn't need starting fluid in the first place. A recurring need for starting fluid indicates a problem that needs to be fixed. I've on rare occasions used starting fluid VERY sparingly just to get the engine running for the purposes of determining and remedying the hard starting condition. Arbitrary use may not be addictive to the engine, but it can be for the operator. That is, one can get addicted to the idea that it's easier to spray it in the engine than it is to find/fix the actual starting problem. Plus - incorrect applications of starting fluid can result in damaged or destroyed engines when cylinders try to detonate out of sequence. In different words, you CAN use ether but you should not have to, and it's potentially dangerous. Using WD40 I have hunch is not so much the oil itself but the propellant. Are you having a problem with out using a starting fluid? 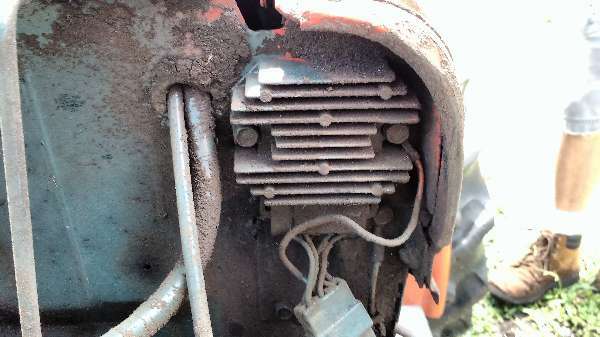 I have a Kubota about same size and age and it wants the glow plugs used is the engine is cold or it takes a long crank to start up. Never used any starting fluid on the three diesels I have. Now years back 25 plus worked for heavy equipment manufacture and we used starting fluid on certain brands often. Again that was 25 years ago and much larger engines. No built in starting aid. I have a circa 2003 24 HP Yanmar in my Deere 4115. My owners manual adresses cold weather starting only to the extent that a coolant heater is recommended. There is no mention of starting fluid one way or another. That said..... I have started this tractor at -10F and at +108F and it has never cranked more than 2 or 3 seconds and never failed to start on it's own. Now if I have to start my backhoe when it is really cold I shall put a portable heater in front of the engine. In the past I did that with my old ( carbureted ) Honda ATV---it would start rite up after 15 min..
Rite now if it is sunny & not real cold I open the engine hood so the sun can shine on it. However I think it is the owners who get addicted to ether----not the engines. I have a block heater in my NH TC33D and use it when it is 20deg or below. The tractor will start without it but it just makes it better. Aaaah--a block heater----I will have to look into that.